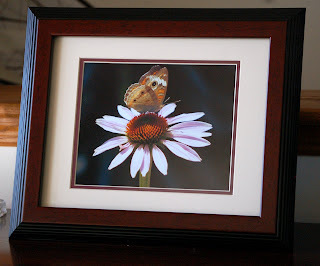 I framed a picture of a Buckeye Butterfly for my husband. I bought two of these frames and mats. They are 16x14 walnut frames. They hold a 8x10 very nicely. I think I will do a Tiger Swallowtail for my office.